DC Fawcett | D.C. Fawcett | DC Fawcett corp. Interests: Drag racing, snow skiing, water skiing, wake-boarding, boating , fishing, traveling and Disney world. Speaking Engagements: If you’d like to have me speak at a conference, meeting or event, please drop me a line via email at speaking@dcfawcett.com.Engagements don’t always require a fee (if they reach a wide audience interested in short sale investing or foreclosure investing). “DC Fawcett is the Founder of the Virtual Real Estate Investing Club, the place to discover what’s working best in today’s real estate investing market. Fawcett is an expert at Virtual Real Estate Investing. He invests in multiple virtual markets and has mastered the art of wholesaling, rehabbing, and cash flow investing in virtual markets he does not live in. 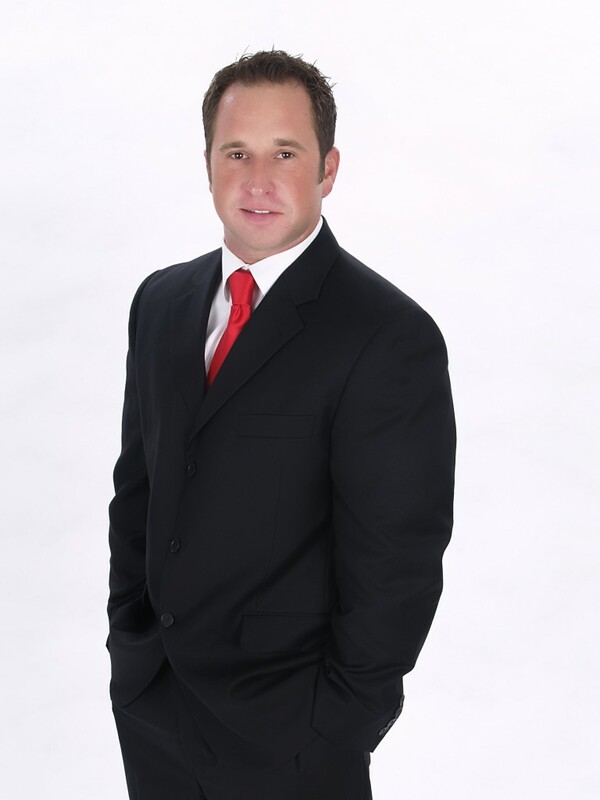 DC specializes in helping people learn and grow their real estate investing business through his proprietary Virtual Real Estate Investing systems. DC is particularly proud of helping his students systematize their business through outsourcing and team building. This allows the investor to spend more time doing the things they love like spending time with their family and friends. DC is passionate about his proprietary system he teaches entrepreneurs how to grow their business and how to generate different income streams. DC Fawcett shares free Virtual Real Estate Investing advice on his blog. When DC is not helping real estate investors start or grow their business, he enjoys spending time with his amazing family. After “leaving” college I went to work for a paint supply company and I was put in their management training program. I was barely making $15 bucks an hour and I knew immediately this was not going to work. My goal was to become wealthy and I didn’t know How I was going to do that but I did know it wasn’t going to happen working for someone else. What I needed to do was start my own business. I knew that most of the wealth in this country is controlled by business owners and most of that wealth was created through real estate. I didn’t have any experience in real estate, I didn’t have any money, and I didn’t have any credit. So I wasn’t sure how I was going to get started as a real estate investor. Then one night, while I was watching TV, I saw a commercial for a free workshop on how to do real estate without money, credit or experience. That was attractive to me because I didn’t have any of those. So I went to the workshop and they explained what it was all about and they were also offering a seminar for $5000 to teach the whole process of how to do the business. This was a defining moment in my life. I had to make the decision of whether to walk out of that room and go look for another job or to invest money (that I didn’t have) to go to the seminar. I ended up putting the seminar on a credit card and I haven’t looked back since. I will never be employed by anyone except for myself for the rest of my life. I learned many things at that seminar, like knowing that taking action is the number one priority. The Secret, and the Law of Attraction are all well and good, but the truth of the matter is; you are not going to change your life unless you take the necessary steps to bring your goals and ideas into fruition. When I want something, I go after it. I went home and started implementing all the strategies I had learned. I started buying a lot of houses and was using all types of strategies. I was all over the place. I was rehabbing houses, doing subject-to’s, wholesales, vacant houses, REO’s….you name it, I was doing it. My cash flow was terrible. I owned all these houses because I had either taken over payments, or got hard money loans to buy the properties. I was making payments on all of them and sinking fast. I ended up maxing out my credit cards to stay above water. My credit score took a huge dive since I was maxed out, and I was almost out of business before I really got started. I later realized that in the virtual real estate investing market, you don’t have to make payments on houses, and you don’t have to do any of the work yourself. I ended up selling the houses that I owed money on, and I paid off my credit cards. I was basically even. No debt, but also no money in the bank. I decided from that point on, I would only do virtual real estate investing deals. It only took me 2 years to get to a point where I was financially free. If I had to do it all over, I would start right with virtual real estate investing and skip all the other stuff. I created a system to be fully automated, so the business runs without me. I spend about an hour a week meeting with my team and we close an average of 3 -4 virtual short sales deals a month at an average profit of $38,000. Its an average of $38,000 because we do some wholesale deals that range from the $10,000-$20,000 range and we do some luxury homes that are in the $80,000 to $170,000 range. After years of investing in real estate, my friends and family were asking if there were ways they could get in on the action. Instead of taking the time to teach each person, I decided to put together some free videos anyone can watch to learn what I’m doing. You can get started by downloading one of my free cheat sheets below. I received such positive feed-back from this course, I started showing it to anyone who was interested, and it became wildly popular. I live life on my terms now. I work when I want. I play when I want. I live in Florida on the gulf and every night I sit and watch the fish jump behind my house. I’m sharing this story because I pictured myself living in this house 5 years ago….even though I had never physically seen this house. It was only an image in my mind. I had a picture of this house in my head before I ever saw it. 5 years later, when I saw the house and had the wherewithal to purchase it, I did. But it was actually more than just mocking up a picture in my mind, or posting some positive affirmations on my fridge that I was supposed to repeat every day. It was the taking action every day that made me realize my goals. Before anyone is successful, they first have to have the idea that they can be fortunate. Without this firm belief that you can be, do, or have whatever you want, and then DOING what’s necessary to get you there, you’re just spinning your wheels into the ground. I realized that it’s these “action steps” that get you to where you want to be. While many self-help guru’s teach you to “visualize” what you want, I think this is only half of the equation. You want to envision your goals, and then do the necessary steps to bring your dream into reality. In essence, each small action step you take makes your dream that much closer to becoming a reality. It’s this activity, of putting your ideas into action that can give you whatever you desire. I hope I get the chance to meet you and share my experiences with you as well! By providing your email address, you will receive regular communications from our company. You may unsubscribe at any time.